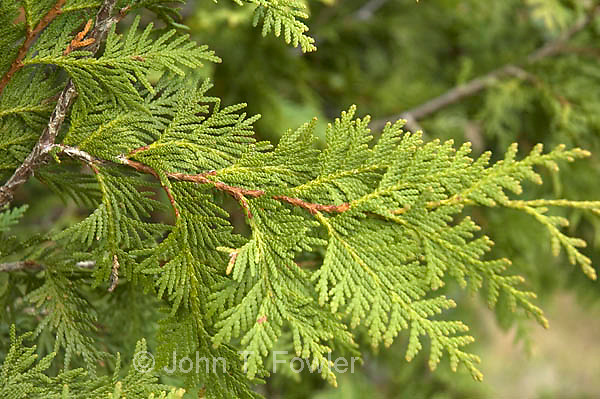 Thuja occidentalis; is better known as the Eastern White Cedar. Well, better known by horticulturalists and botanists I suppose. If you know the bush and think it would look just lovely in your front yard or as an accent on either side of your bay window, you can probably just go to the local garden centre and ask for it. I’m sure that you will pay too much for it, but if you really want it then money shouldn’t matter. It will break your heart though. The bush also has a tendency to die from the inside out. Maybe it is due to a lack of water, too much sun, too little sun or just poor soil conditions. Who knows? My daughter had a couple by her windows that grew to the eaves and died inside. Crazy tree/bush. I have fond memories of these bushes. They grew wild on my grandmother’s property at the cottage and pretty much everywhere else in the general vicinity. Well, they did until Gram waged war on them. She felt that they were breeding grounds for mosquitoes and she had suspicions that mice lived somewhere near the roots. My brother and I were behind this idea 100% because it meant that Gram let us use the axe to cut the trees down. They were only about four or five feet high, but we were little kids and to us they were forty foot maple trees. We lost interest when it came to digging the roots out of the ground, but that is what dads are for. Maybe that’s why dad was against cutting them down, well, that and if they weren’t there then it would be more grass for him to mow. Once we chopped them down, we tossed them on the fire and they would crackle and burn like mad, being full of sap. I still remember the smell of the bush and the fire. 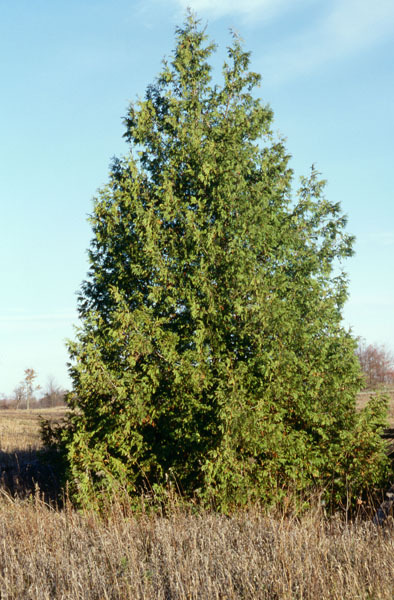 My neighbour has an Eastern White Cedar that is half dead; I was thinking that I could do her a favour and relive a chapter from my youth if I tossed a match or two into the dead centre of the bush. It would burn so nicely and smell heavenly. Unfortunately, so would her fence, attached deck and more than likely the house would burst into flames. Hmmm…I have always liked watching firemen in action.